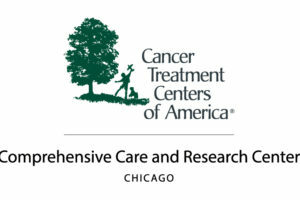 Join us at the second annual Susan G. Komen Chicago Metastatic Breast Cancer Conference and Resource Fair on April 12 – 13 for the most current information on treatments, research trials, patient support and national issues for metastatic/stage IV breast cancer (MBC). This year, our conference will be held at the Shirley Ryan AbilityLab, located at 355 E Erie St in downtown Chicago. Thanks to the generous support of our sponsors, attendance is free*, however registration is required. (3) Gain support and build community. The conference is geared towards people living with metastatic breast cancer but is open to breast cancer patients of all stages. Over the course of two days, presenters will cover the biology of metastatic breast cancer, advances in treatment, emerging research, clinical trials, as well as address the psychological and social issues faced by those living with MBC and caregivers. together with national experts to share about treatment advances, clinical trials and lifestyle issues for MBC patients. You can download the complete agenda here. A list of confirmed vendors at the Resource Fair is available here. Parking is available at Shirley Ryan AbilityLab parking garage for $15 per day. The garage is located on Ontario Street, just west of McClurg Court. The official conference hotel is Hotel EMC2, located at 228 E Ontario, less than a 5-minute walk from the conference venue. Thanks to a generous donor, we have travel scholarships of $500 available for attendees travelling further than 60 miles from Chicago. To apply for a travel scholarship, please complete this form and return it to Komen Chicago. Applications are due by March 15, 2019. For those unable to attend in person, The 2019 Metastatic Breast Cancer Conference will also be offered via livestream! There will be no charge for individuals to attend the livestream conference. If you would like to attend via the livestream, please register to have the link for the conference sent to you. A link to the recording of the livestream will be placed at www.komenchicago.org/mbc once the conference concludes. Sponsorship opportunities are still available – contact Kristen Eis at keis@komenchicago.org for more information.